Is Vertigo A Scary Sign Of Increase Stroke Risk? 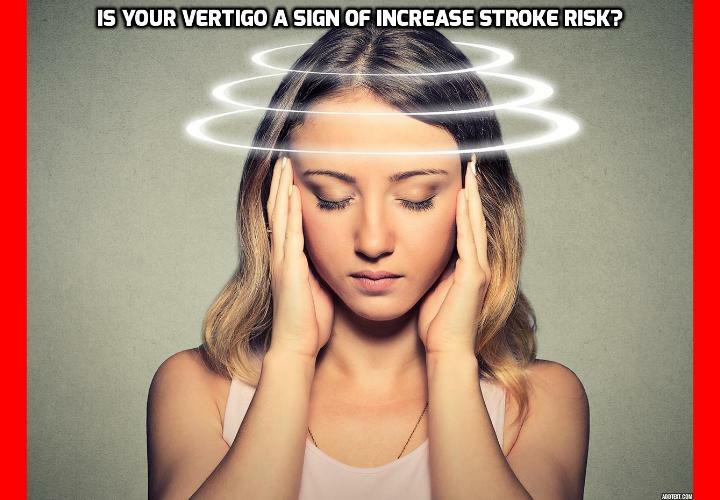 Is Your Vertigo A Sign Of Increase Stroke Risk? Because vertigo is so unpleasant and scary, many people rush to the emergency room when it happens to them. But often it is not due to serious causes like increase stroke risk. An article in the journal Mayo Clinic Proceedings found that, even though dizziness accounted for 4% of emergency room and 5% of clinic walk-ins, only 15% of these were due to dangerous conditions, only 5.4% to stroke, and a further 5.7% to a mini stroke. So how do you know whether to take vertigo seriously as a sign of an urgent health problem? It goes without saying that any symptoms that accompany the vertigo, especially slurred speech, paralysis, and loss of consciousness, should be taken seriously. But other than those, a new study in the Journal of Stroke and Cerebrovascular Diseases has now contributed to the question by evaluating whether vertigo plus sudden hearing loss, vertigo alone, or sudden hearing loss alone poses the greatest chance of increase stroke risk. They obtained the medical records of 218,656 patients from the National Health Insurance Research Database of Taiwan from 2002 to 2009. 678 had vertigo plus sudden hearing loss, 1,998 had sudden hearing loss alone, and 215,980 had vertigo alone. They followed the patients for three years until 2012 or until they had a stroke or died. #1 – 5.5% of those with vertigo plus sudden hearing loss ending up having a stroke. #2 – 3% of those with sudden hearing loss alone suffered a stroke. #3 – 3.9% of those who experienced vertigo alone had a stroke. Once they had crunched all the numbers, they concluded that people with vertigo plus sudden hearing loss were 1.93 times more likely than people with only sudden hearing loss to have a stroke, and 1.63 times more likely than those with only vertigo to have one. When they counted only the cases where the vertigo and sudden hearing loss occurred within three days of each other, the risks of stroke were much higher, at around 2.91 times higher than for sudden hearing loss alone and around 2.25 times higher than for vertigo alone. This study is useful for two reasons. Firstly, it draws our attention to the fact that stroke is not actually one of the common causes of vertigo. Secondly, and possibly more importantly, it alerts us to the fact that we should not ignore vertigo as a mere ear problem if it is accompanied by sudden hearing loss, as this combination of symptoms are more likely than vertigo alone to indicate that a stroke might be in progress. Previous PostPrevious What is the Best Way to Heal Vertigo? Next PostNext What is the Best Way to Cure Vertigo?